Thank you all for your love and comfort. Incomprehensible glory for Jaymun and sorrow for us. ...those of you with a passion to carry on the work Jaymun has inspired. We are organizing to provide support to others going through similar battles. The lives of these little ones are far too short, and together we can help make a lasting difference. Some day soon your phone will ring and you will hear my voice "Jaymun asks for your help". Because some struggling parent near you will need extra love. We will find a way to make a difference for them. ...choosing traumatic options with miniscule success rates because of lack of knowledge and resources. Too often the painful choices about how to enjoy and fight for precious months of time are made in the dark. Too few know what is available, or even where to look to find competent alternative practitioners. Many doctors have agreed that alternative medicine helped Jaymun enjoy 14 months of extended life. ...rather than waiting "ten years" for the synthetic drug trials to be completed. We can insure the costly lessons taught by Jaymun and others endure to help save others. Connecting, educating, and supporting. Building trust between parents, alternative, and primary physicians. Helping precious, little lives shine longer and more brightly. Jaymun was an amazing gift from God and the impact from his beautiful, short life will not fade but grow. Please respond now, so I know you are willing to help me appreciate Jaymun and bless others. 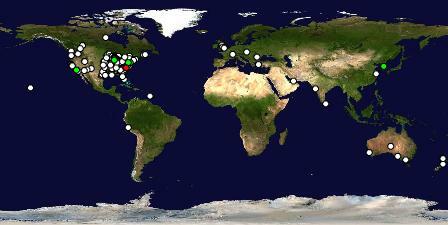 ...I want to start by expanding our email list, the world-wide map dotted with Jaymun's helpers. Sure, donations will be put to good use, but I am happier just to know you are on Jaymun's team. That you will help in some small way ...to bring someone breakfast if I ask you to ...to give a hug ...to say a prayer. and any ideas you have based on your own personal skills and/or experience with cancer. And please do everything you can to pass this story along to friends while it is fresh. ...preparing the way for Jaymun's helpers, building momentum behind a new work of love. ...like Jaymun used to say it will be "wots of fun!!!"